Gary Warby, Managing Director Premier Window, explains why condensation inside your double-glazed windows could be costing you hundreds of pounds. Home energy efficiency is a top priority for all of us going into winter. 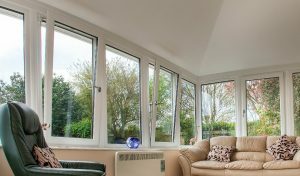 New double and triple glazed energy efficient windows are a great way of reducing heating bills and once they’re installed, as long as you carry out occasional maintenance, there’s not much that will go wrong with them. This isn’t always true of older windows. We get called out on a fairly regular basis to properties throughout Buckinghamshire by homeowners reporting the formation of a ‘mist’ between the sheets of glass which make up the glazed window. This is called the Insulated Glazed Unit or IGU. It’s a key element of a double or triple-glazed window, creating a thermal barrier between the cold air outside and the warm air inside your home. At face value it may simply look like two or three panes of glass ‘sandwiched’ together, but new energy efficient IGU’s in common with your new windows as a whole, is packed full of cutting edge technology. Thermally efficient, recycled composite material reinforcements used in place of energy inefficient steel reinforcements, further improve energy efficiency. If you find that condensation or mist has formed between panes of glass in your windows, it means that the insulated glazed unit has failed – but also that your windows are old and deliver a far lower rate of thermal efficiency than new energy efficient windows and doors. The first thing to note is that if moisture is getting in, any high density gas for example argon, xenon or krypton, used to fill it, will have leaked out, massively reducing performance. If it didn’t have these gases in the first place, it’s a sign that windows, even if they were double glazed, were probably older and delivered a comparatively poor level of performance compared to new thermally efficient windows and doors. Although very occasionally a rogue energy efficient IGU will fail, as a general rule, misted windows indicate that your windows are old and need replacing. This will also deliver a host of other benefits, making your home not only warmer but also secure, while a new choice of finishes including a wide range of timber-effect and colour woodgrain finishes, gives you far greater choice. Please don’t hesitate to contact me direct or a member of the team 01296 422 842 or email enquiries@premwindowsanddoors.co.uk to find out more.